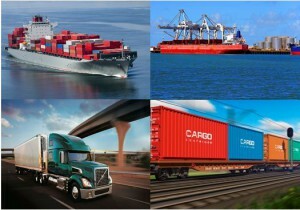 Freight Forwarding | Trealmont Trade Lane Inc.
Freight forwarding is the coordination and movement of goods between locations using any combination of road, rail, marine or air transport. At Trealmont Trade Lane successful freight forwarding is defined as executing the delivery of our client’s goods to the desired destination on time, without damage and in compliance with documentary requirements taking into account total costs, including carrying costs, handling and transport costs, and increasingly, also the costs of regulatory compliance. Negotiating rates and terms of service that meet the needs of our client. Coordinating with transport carriers and terminals to ensure that appropriate space and equipment are available when required. Coordinate with transport carriers in all modes for the correct timing and appropriate spacing of shipments and deliveries.